European Journal of Hospital Pharmacy | Committed to advancing the science, practice and profession of hospital pharmacy. European Journal of Hospital Pharmacy (EJHP) offers a high quality, peer-reviewed platform for the publication of practical and innovative research which aims to strengthen the profile and professional status of hospital pharmacists. EJHP is committed to being the leading journal on all aspects of hospital pharmacy, thereby advancing the science, practice and profession of hospital pharmacy. The journal aims to become a major source for education and inspiration to improve practice and the standard of patient care in hospitals and related institutions worldwide. 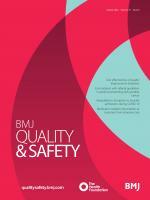 European Journal of Hospital Pharmacy adheres to the highest possible industry standards concerning publication ethics. To read the journal's detailed guidelines please see our policies. 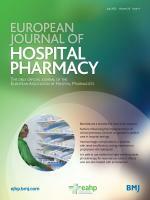 EJHP is the only official journal of the European Association of Hospital Pharmacists. 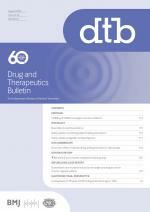 Follow the journal on Twitter and keep up with BMJ pharmacy news via Facebook. EJHP also welcomes new peer reviewers. European Journal of Hospital Pharmacy considers unsolicited submissions of a wide range of article types, including original articles, systematic reviews and short reports. Interesting case reports and medicines information queries are also welcomed. The Author Information section provides general guidelines and requirements for specific article types. Information is also provided on editorial policies and open access. All manuscripts should be submitted online. EJHP is indexed in the Science Citation Index, EMBASE, CINAHL and Scopus. EJHP welcomes new peer reviewers.